Corneliu Ulici graduated the National University of Theatre and Film I.L. CARAGIALE in Bucharest and his first experience with the film industry was in 2005 as production assistant for Francis Ford Coppola’s YOUTH WITHOUT YOUTH. In 2011, he starred in SOMETHING GOOD OUT OF LIFE, which brought him a number of international awards including a Romanian Gopo for Best Actor. His first leading role in a foreign film was as ‘Father Anton’ in THE CRUCIFIXION, directed by Xavier Gens. 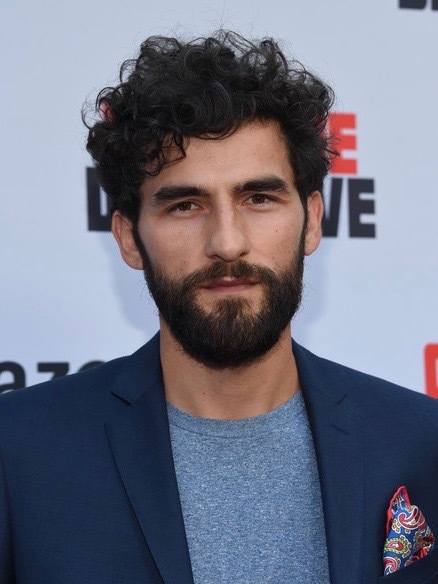 In 2016, he made his debut in television in the HBO series THE SILENT VALLEY and in 2017 the Amazon TV Series COMRADE DETECTIVE.